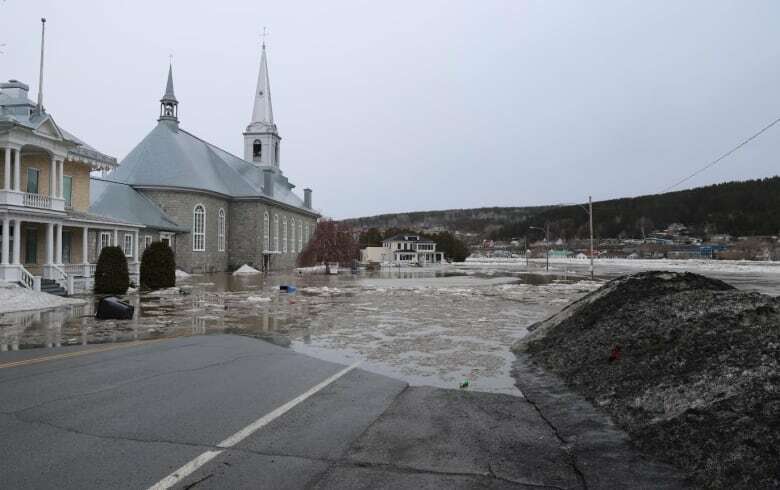 Dozens of people in Beauceville, Que., won’t be able to return to their homes tonight after flooding brought the town’s downtown area to a standstill. An ice jam under a local bridge gave way around 6 a.m. Tuesday. 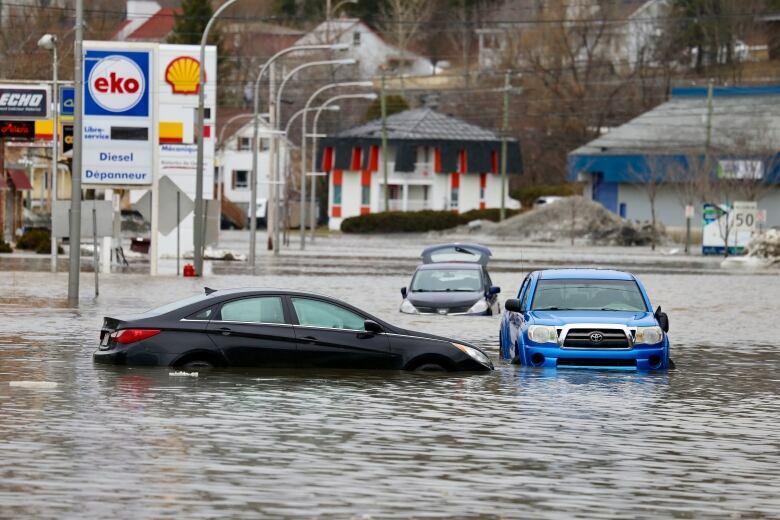 The water quickly rose about 20 centimetres, spilled over the banks of the Chaudière River onto roads and into about 230 homes. Public Security Minister Geneviève Guilbault travelled to the town, about 75 kilometres south of Quebec City, in the afternoon to survey the damage and meet with affected residents. “I want to reassure people here, in Chaudière-Appalaches, where this is a critical situation, and people everywhere in Quebec, that we are out there, we are helping out, we are available, if any situation comes up, we will be there to help,” Guilbault said. So far, firefighters have used heavy equipment with platforms and, in places where water levels are higher, inflatable boats to rescue about 36 people. “It happened so fast. I woke up and the water was at the end of the street,” said resident Annie Chabot, who was rescued along with her teenage daughter. There are chunks of ice, propane tanks, garbage cans and even cars in the middle of some roads, all transported to places they don’t belong by the rising water. Transports Québec is controlling traffic toward Beauceville because local roads are shut down. Police have cordoned off roads along the river. Residents and firefighters say water levels haven’t been this high since 1991, when major flooding hit the town. The town has opened two shelters for residents who were forced from their homes but have nowhere else to go. Four neighbouring municipalities have come to Beauceville’s assistance, offering personnel and logistical help. The two-kilometre long ice jam has reformed downriver. Guilbault said the government is looking at opening a satellite office in the area, where flood victims can get information about a new disaster-relief program. Announced Monday, the program will set hard caps on compensation available to homeowners in flood zones, with the goal of encouraging them to move elsewhere. In Beauceville, almost every year, homes, businesses, organizations and municipal buildings in the downtown area are flooded. When asked whether she was afraid the program will effectively kill the downtown area, Guilbault said the government will participate in discussions to determine next steps, and that each situation will be decided on a case-by-case basis.